We’re passionate about making quality homes that will last the ages in the most efficient way possible. That means you can achieve your dream home, on time and on budget. Hart Builders is an accredited HIA builder and RPB Board member. We service all of Melbourne, and are specialists in our local Bayside area. 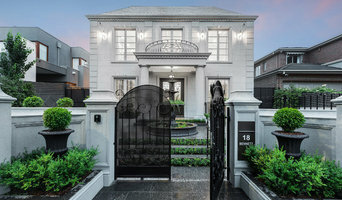 First Avenue Homes is an award winning building and construction company based in bayside Melbourne. 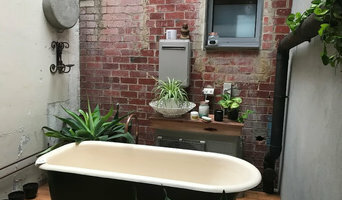 Owned and operated by Anthony Karlovic and an extensive team of industry professionals, leader and Director Anthony is a Registered Building Practitioner as well as a HIA Accredited Builder. First Avenue Homes offers a variety of professional building and construction services including new custom home constructions, design and build services, knock-down/re-build projects, extensions and renovations as well as dual occupancy developments and townhouses. In 2017, First Avenue Homes was awarded the Victorian HIA Award for Renovation & Extension of the Year. As a boutique building company, we at First Avenue Homes pride ourselves on maintaining open and continuous professional communication with our clients at each stage of their project's development. It is our aim to deliver the highest standard in building and construction by using the best products and trades available and by communicating with our clients regularly to ensure their dream comes to life. Dimpat believes every homeowner has the right to expect that their construction project is in capable hands. We’re not your typical builders. We’re real people with a real commitment to friendly and personal service. While you will always have the best and most experienced advice available, we want you to have an active role in your project, every step of the way. 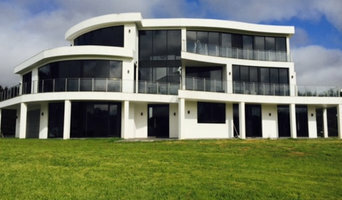 Kube Constructions, owned by registered builders with over 20 years of experience, Marcus and Andrew, specialises in high-end home builds and large scale renovations. Marcus and Andrew understand that every customer has a different set of needs; different interests; different budget; and a different sense of style, which is why they work closely with you to understand how to deliver the perfect outcome for you. The Melbourne Construction firm is all about protecting its clients and building relationships which last long after construction ends, and believe in a set of core principles above all else: honesty, reliability, communication, integrity and trust. At Kube Constructions, we get it. Your home isn’t just a house. It’s a special place for your friends to gather, family dinners, track days and sleep-ins - which is why are dedicated to helping you create a home which you never want to leave. Need a custom designed home on the coast, or a townhouse development in the Bayside or South-Eastern suburbs of Melbourne? Look no further than Langford Jones Homes. For over 40 years, this family owned and operated building company has provided clients with quality, lightweight built coastal homes and townhouse developments. Building quality homes for our clients at the right price is what’s made Langford Jones Homes a market leader. We pride ourselves on providing the best service from first plans to finished product, and work closely with our clients at every stage of the building process to ensure our home suit their every requirement. 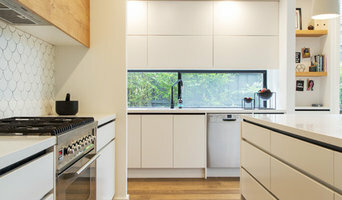 G-Lux Builders Melbourne’s leading passive house builder. We are a family run business with 18yrs experience in the construction industry. We specialise in building new homes in Melbourne's established suburbs, focusing on High Performing, Low Energy Consumption Homes. Our team of tradespeople and suppliers have a long-standing partnership with us which results in consistent high-quality workmanship. Our service is tailored to the needs of each client — be it exploring the development options for a property, design, approvals, demolition (knockdown) and construction (rebuild) — you can be confident in we have it covered. Clancy Constructions is a quality driven construction company built on a solid framework of integrity, innovation, and passion for our craft. This permeates across every project, every home, and every beautiful space we help create. We take great pride in building homes that resonate with our clients and bring inspired architectural visions to life. We collaborate with Melbourne’s finest architects to deliver high-end construction and superior service, sharing a determination to deliver considered design through structural artistry. Together, we make a formidable team. We hand-select the finest materials to accentuate sophisticated architecture and the exceptional standard of our workmanship. From the overarching aesthetic to the way a textured surface feels beneath the fingertips – every detail is scrutinised and refined by the Clancy team. Our clients experience the design journey through in-depth consultation, regular communication, and site visits as we reach key milestones. Delivering personalised, timely and transparent construction is of the utmost importance to us and provides peace of mind for our clients. We treat each development as though it were our own. Contact Clancy Constructions and build with confidence. Vital Build are committed to building the home of your dreams, We understand that this is one of the biggest events in your life and we understand the importance it has to both you and your family. Vital Build will follow the project all the way from start to finish. From obtaining all the relevant building and planning permits to organising the trades from our dedicated and outstanding team of tradesmen. We also have access to a fantastic team of interior designers who can assist in all of your design decisions. You can be assured that your family home will be constructed to the highest possible standards. Vital Build specialise in New Homes, Extensions, Renovations and Unit Developments. We are also an accredited HIA Green Smart professional builder. Finney Construction has over 14 years experience in both commercial and residential building. Our focus is on high end architectural homes with quality and design at its core. We don’t believe in cookie cutter house and land packages. Each home is as individual as the family that lives in it, therefore each house is carefully designed and built with each family’s needs and budget in mind. We provide you with the level of service you need- From fixed price contracts or an open book model such as construction management or cost plus, we have a reputation for being on time and on budget. We utilise award winning architects to help you realise your dream home. Our attention to detail and emphasis on finishes will ensure a smooth and exciting journey. In the end, you will have a quality designer home with real architectural integrity and a space that is highly liveable. A design that will stand the test of time and be a source of pride long after the dust has settled. Reno & Retro has developed a reputation as a building practice dedicated to providing our clients with a positive building experience. Our clients attest to the relationships formed over the course of numerous projects, resulting in many ongoing friendships. We enjoy working with architects and designers and honour the vision and creative expression in the detail and design they provide. Reno & Retro’s founder, Geordie McCallum, has over a decade of experience in the building industry. His unique approach to building comes from a love of the craft of building homes. His personal involvement in each project ensures the delivery of exceptional projects. Our team of highly qualified and skilled carpenters and subcontractors are committed to building to an excellent standard of workmanship with rigorous attention to detail. Reno & Retro projects are outstanding examples of craftsmanship and quality resulting in exceptional homes for very happy clients. Donnellan Constructions was established in 1997 although the concept of running our own business was a dream long before this. Our number one priority is providing practical solutions to meet our clients' dreams and lifestyle requirements. Whether it be a new home for you or your family, a holiday home, a bustling city abode, an investment property or making your existing space bigger or changing it, we can assist you in creating an innovative, affordable and feasible solution that works. We understand that for many people building or renovating is a once in a lifetime opportunity and we pride ourselves in making the experience a smooth and enjoyable one for all involved. We have had vast experience in all areas of residential construction including townhouse developments, new homes, renovations and extensions. We set our standards high and often go beyond the norm to ensure total project satisfaction for both the client and ourselves. It is truly rewarding watching clients 'show off' their completed project with such pride and excitement. Looking after the environment is a major priority for us and we aim to provide clients with projects that have been designed utilising all available materials and appliances to ensure the least impact on the environment. 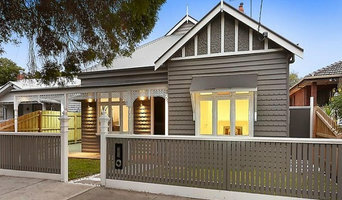 Norik Constructions is a boutique home builder operating mainly in the Eastern areas of Melbourne. Our difference is the genuinely caring and stress-free service you will experience when building with us. Our primary concern is that your new home is created with your best interests in mind. We start all new projects by learning about you, including your budget, your priorities and how you will live in your new home. "Specialising in providing you with a custom home that truly considers all of your needs, and is exactly as you dreamt it would be. "– Director Kiron Barnden. Our clients tell us that we are caring, considerate and approachable, and that our homes, like our service, reflect the care that is taken in everything we do. "It is our job to create you the home that you have visualised, that is perfectly suited to your lifestyle and that you can create many lifelong memories in" – Director Kiron Barnden. MISSION STATEMENT: We listen – we are always available and approachable, and will be open to any ideas you may have as well as offering you our advice if it will help. We are respectful, easy going and caring and nothing will ever be too much trouble. We are involved – in every aspect of the home, including being organised at all times, communicating with you often and being on site daily. It is your home – we will take the time to learn about you and your dreams for your home, and how you plan to live in it. We will involve you every step of the way (including welcoming you on site) and allow you to enjoy the exciting process of building your dream home. We will build it as if it were our home – including taking the same time, care and attention as if we would be living in the home forever. We will shop around and suggest cost saving and efficiency measures just as if it were our money being invested. We take care – and ensure that our loyal team of tradespeople do the same. We are proud of the results of what we do – without the ego that can often come with high standards of work. The Abode team comprises a group of passionate professionals that bring a range of experience and expertise to your project. Founded in the late 1990s by Glenn Hurley and Mathew Fluck, Abode draws upon more than 30 years of combined industry experience. All staff share the values of the directors; with a strong commitment to customer service at the very heart of the business. We receive most of our new work through referrals, which is testament to the reputation and professionalism of our team. From Victorian to 21st century Australian, from Brighton to Balwyn and everywhere between – we recognise the requirements of our clients are as individual as their homes and extensions. At Abode we specialise in elegant, tailored design and construction solutions, including new builds, renovations and extensions. We integrate three major disciplines essential for successful project outcomes; intelligent design, informed project management & excellent construction. All of this happens with utmost transparency in a collaborative and supportive environment. Projects are carried out by our inhouse design team with every design and construction decision based on our core customer first approach. As every client is different, every project is tailored for individual expectations. At Abode we thrive on heritage overlay projects & understand all the key aspects involved. We are here to help & have the experience & passion for our work that enables optimum outcomes for you. Our reputation depends on delivering outstanding, stressfree design & construction & that’s exactly what our team delivers, with a commitment to premium quality in everything we do. S&K Group is a multi-disciplinary firm providing architecture, construction and project management solutions to clients who appreciate finely crafted projects. We believe in always delivering a quality outcome whilst exceeding expectations and delivering value throughout all aspects of a project’s development. We are flexible, adaptive and pride ourselves on our integrity. Most importantly, we have a proven ability to deliver a quality product. We’re not just reliable; we’re also energetic and very passionate about our work. In short, we’re exactly the team you’re looking for. Busby Homes is run and owned by the Busby family, who after 20 years in the building industry decided to start their own business; dedicated to delivering the best personalised service from a company run by a Registered Building Practitioner. Every Busby home is specially designed to reflect your individual tastes and reflect your lifestyle. Through innovative design and quality craftsmanship, every home we build has a timeless appeal and character that showcases its superior liveability. At Busby Homes, our only goal is to make the experience all about you and creating your perfect home. Whether you’re undergoing home renovations or building from scratch, hiring the right home builder is essential. Your choice will determine the quality of craftsmanship, as well as how high your stress levels rise! A home design or building project is a huge and multifaceted undertaking, so it’s important to find a local Craigieburn, Victoria builder you can trust to bring your vision to life and keep the process under control. The Houzz professional directory of home builders is a great starting point to choose the right builder for your needs. What exactly do Craigieburn, Victoria home builders do? Before any nails are hammered down, construction companies perform market research to determine whether the prospective site for a new home in Craigieburn, Victoria makes sense. They also survey the land to make sure it is suitable for construction, and obtain any necessary Victoria permits. Scroll through this page to find contractors in Craigieburn, Victoria. Then, click on a professional to browse photos of their latest projects and see how their work compares to the scope of your project. Read reviews to see how other homeowners rate their work, and message the home builder or construction company directly to ask any specific questions.